After winning his heavyweight unification fight against Joseph Parker it looked as though Anthony Joshua was in line for another world class fight against America’s top heavyweight, Deontay Wilder. Things rarely go to plan in heavyweight boxing though. 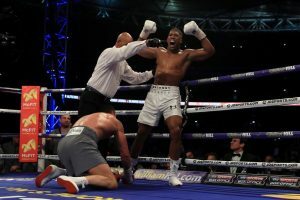 The wrangling, politics and negotiations were unable to come up with the goods so Joshua’s team have instead settled on a fight against Russia’s Alexander Povetkin. There is no doubt that Wilder would provide a tougher challenge to Joshua than Povetkin but don’t think for a second that this is going to be an easy night for the heavyweight world champion. 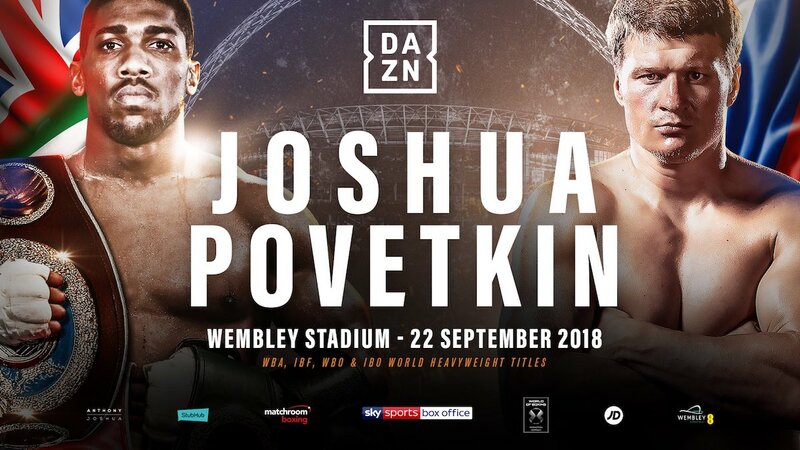 Povetkin is the mandatory WBA challenger and has only lost one professional fight so Joshua is taking nothing for granted ahead of the contest at Wembley Stadium. In fact, Joshua has gone as far as to suggest that he is targeting a statement knockout win to set up a potential superfight against either Wilder or Tyson Fury. But will the British fighter live up to the billing again? 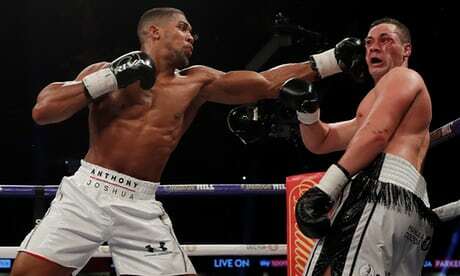 Anthony Joshua in action during his points win over Joseph Parker in March. Joshua has been treating the build up to the Povetkin the same as he would against any other opponent. The fact remains that the champion is the firmest of favourites for very good reason. At 28, Joshua is approaching the peak of his powers. The same cannot be said of hid 39-year-old opponent. There’s no questioning Povetkin’s work rate or his chin but, as Joshua himself said, boxers have to approach things differently as they get older. Povetkin is going to struggle to hack the pace against Joshua which is reflected in the bookies’ odds. The other thing going against Povetkin is the size of the occasion. He did get a taste when beating David Price on the undercard of Joshua v Parker and fought Wladimir Klitschko in 2013 resulting in his only professional loss. That meeting in Moscow was far from exciting though as both men coasted through the closing rounds safe in the knowledge they’d already secured a big pay day. Fighting a fired up Joshua at Wembley Stadium is different kettle of fish entirely so anything other than a Joshua win would be a huge shock even if backing him at such heavy odds on isn’t exactly tempting. Joshua pictured just after beating Wladimir Klitschko by knockout the last time he fought at Wembley Stadium. Povetkin’s durability and chin passed the test against Klitschko in as much as he went the distance against the long time unified heavyweight champion in Moscow. We’re five years further down the line now though and as mentioned above, Joshua is gunning for an eye-catching win. If you are looking to try and profit from a win for the British fighter in front of his home fans, the Method of Victory market is the place to head. Joshua has matured as a fighter and is increasingly patient but deep down he still loves a fight. He’s five inches taller than Povetkin, will be heavier on the night and can utilise his power to land his 21st knockout victory at 4/11 with Coral. Some have criticised Joshua’s decision to take the fight against Povetkin and not a more challenging contest. As with any boxer at the top of the sport, Joshua only has so much say in who is opponents are and as the old sporting truism goes, you can only beat what’s in front of you. When all is said and done, Joshua’s class is going to tell but securing that big knockout is not going to be easy. Joshua had to work very hard for his knockout wins over Carlos Takam, Wladimir Klitschko and Dillian Whyte. It’s going to be the same against Povetkin so if you’re getting involved in the Round Betting market, Joshua in the eighth round looks a good price at 10/1 with Coral.